Looking to boost its already massive profits, Amazon is reportedly hitting vendors of unprofitable items where it hurts: their ads. Citing emails sent to Amazon vendors in addition to conversations with individuals familiar with the matter, CNBC reported Wednesday that Amazon recently began informing some of its brands that it will no longer allow them to pay to promote their products on the platform if those goods don’t turn a profit for the e-commerce behemoth. According to the company, the practice isn’t new, but a spokesperson did not immediately return a request for comment about how long the policy has been in place. The ban on these ads is the latest in a series of moves by Amazon to boost its bloated bottom line. The Wall Street Journal previously reported in December that the company was targeting items internally known as CRaP, or products that “Can’t Realize a Profit.” According to the Journal at the time, Amazon’s growth initiatives included pushing vendors to update packaging on items that were not selling well in its online marketplace as well as working with vendors to update the prices on poorly performing products or items that cost Amazon money. An Amazon spokesperson told Gizmodo at the time that its operations had not changed, though it did acknowledge that it may cease selling an item that is not profitable over an extended albeit unspecified period of time. 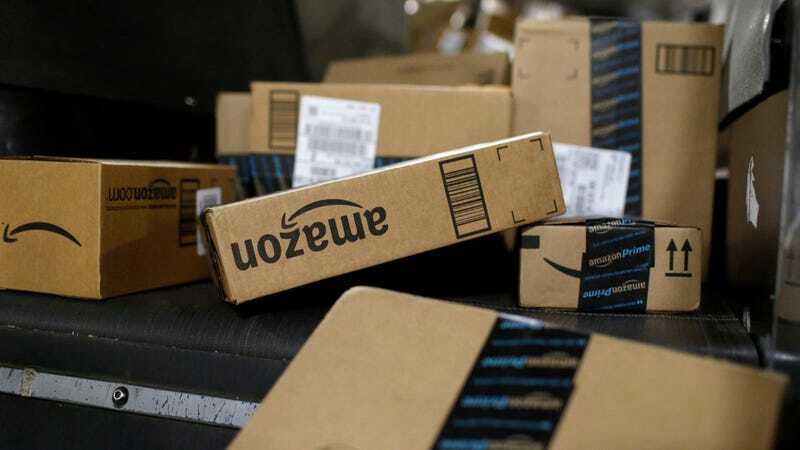 Amazon made some unprofitable products available through its budling program Prime Pantry, the spokesperson said, and initiatives to make vendor product packaging more attractive to online shoppers was something Amazon claims it had been doing for years. Amazon’s ad practices surfaced by CNBC this week once again underscore the extent to which it can impact the vendors trying to tap its hefty market share—and with little to no warning—even if it affects the respective bottom lines of those brands. But it’s worth asking how much more Amazon can get away with flexing its muscles to boost its own profits before Washington steps in and does something about it. Updated 3/20/19 9:15 p.m. ET: Added clarification from the company about the policy not being new.